The weather in Wisconsin this spring has been less than helpful in getting started on the vast number of projects that will occur this summer in preparation for Koshkonong Trails this fall; however, last week the weather finally broke! In the short time that the ground has been unfrozen, several projects have been checked off our list, and changes are taking shape out at Severson Learning Center. 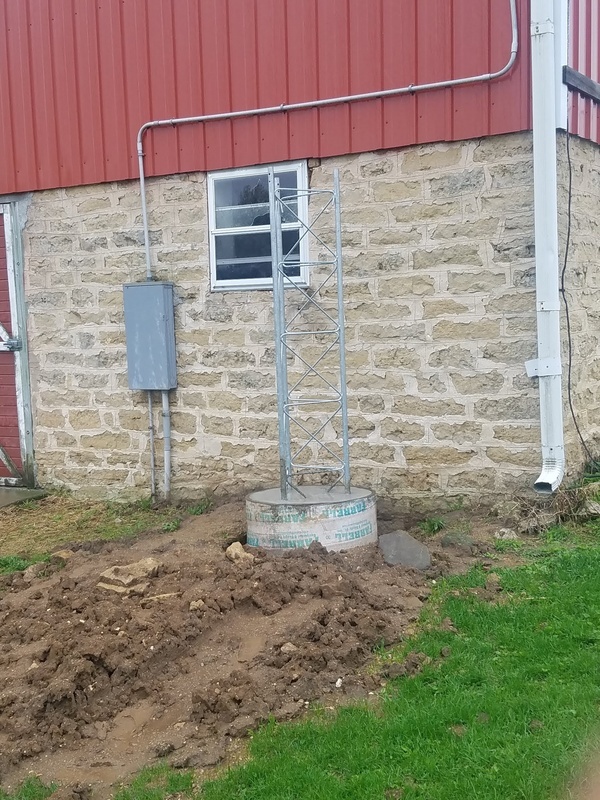 Just outside the barn, the tower has been dug and set with its concrete base. 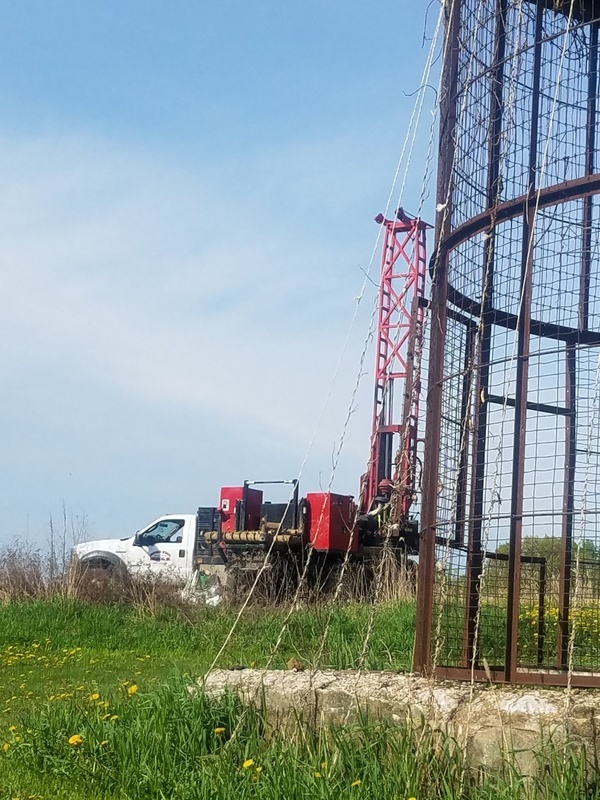 This tower will allow Koshkonong Trails students and visitors to Severson Learning Center to access internet from the Cambridge school District. High speed internet and access to our library services is a necessity for students to be successful with projects-based learning. Tuesday this week, soil borings were taken from the location where the modular classroom will be positioned. The data obtained will help the engineers determine the final details involved in placing the building on site. We look forward to being able to update more happenings as the summer kicks off!